I've actually read more than a few PR sample reviews comparing these to Maybelline Color Elixir or YSL Glossy Stain. 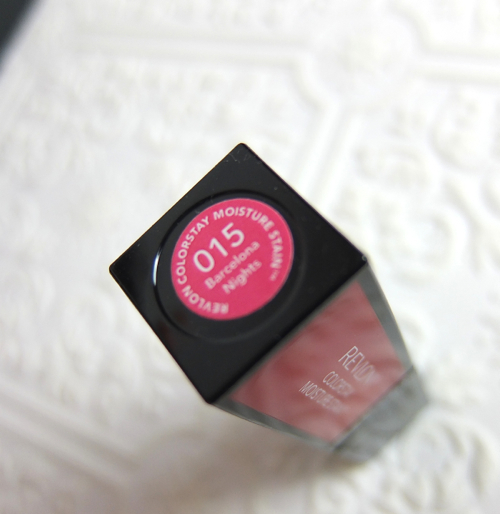 However, Revlon ColorStay Moisture Stain reminds me of Dior Fluid Stick more! After playing with them for a few hours (comparing with my Dior Fluid Sticks, of course), I've come to think these new hybrid lip colors from Revlon well could be affordable alternatives to the Dior. I bought two shades enabled by BOGO 50% off sale. LA Exclusive (010) is the lightest pink of the bunch. Cool-toned barbie pink with fine shimmer. Barcelona Nights (015) is a deep pink with warm undertones. The packaging and the applicator indeed remind me of YSL Glossy Stain. Upon the initial application, it feels a little lumpy and doesn't apply all that evenly. It has the identical cooling sensation I get from Dior Fluid Sticks. 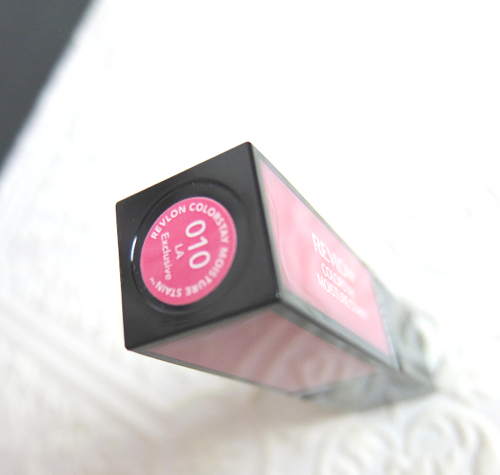 At first it feels a little thick, but soon it adheres better to the lips feeling much lighter, just like the Dior. I even tried(!) to compare the ingredients lists of these two (the thing I do in the name of beauty blogging!! ;o) and they do share the same two first ingredients and some others. They even smell similar! Most interesting thing is though, the Revlon feels less sticky and lighter than the Dior reminding me Lancôme Lip Lover. I would say the lasting power is about the same, too. And they do have the similar consistencies. LA Exclusive on my lips. Sorry it is a little out of focus. This is a very wearable barbie pink. Please mind that these colors do appear darker once applied and settled in. Barcelona Nights on my lips. This is so pretty and even reminds me of the Dior Fluid Stick Wonderland. 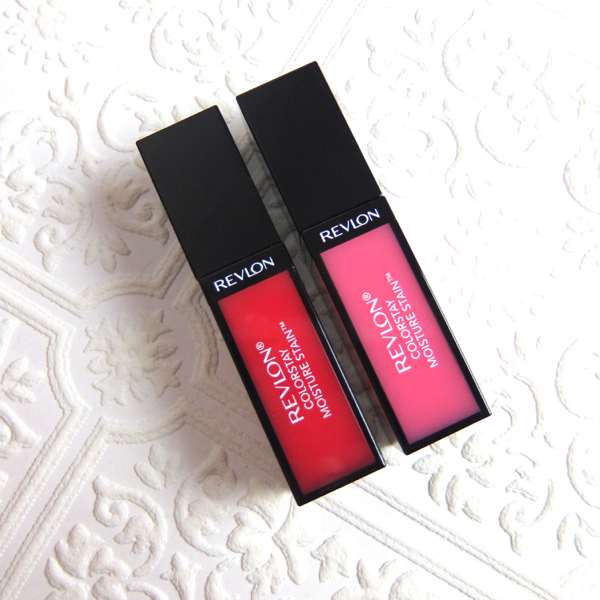 Revlon ColorStay Moisture Stain definitely feels "hydrating and light" on my lips where many oil-based lip glosses feel "emollient and heavy". I haven't paid much attention to Revlon lately, but I must say that they seem to have done well this time, dupe or not. 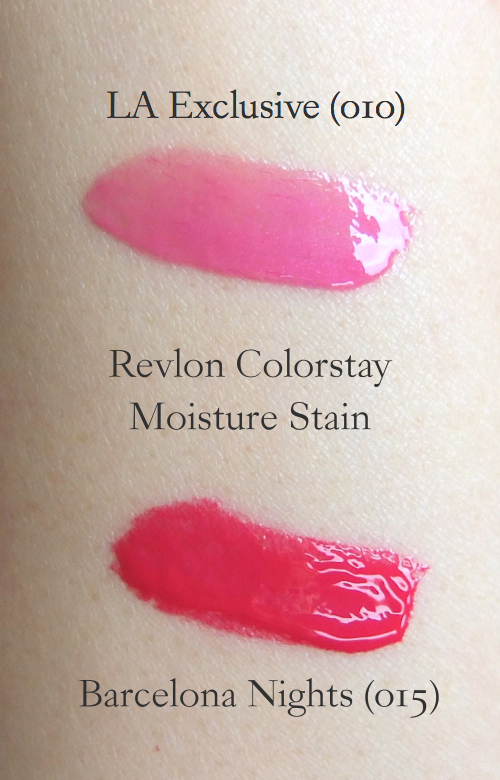 Have you spotted the new Revlon ColorStay Moisture Stain? SO PRETTY!! If these are more like the Lancome Lip Lovers then YAY! I'm gonna love em! Interesting. I'll need to try one to see if I like 'em. Omg, a comparable alternative! WAH! I would love to have Barcelona Nights to try! I haven't seen these in singapore yet as of this afternoon walking past revlon but I like how glossy it looks! Thanks for reviewing! I think I'm all glossed out :P If they are like the Lancomes, though, then maybe I will have to take a look! Will add more pictures and other thoughts soon. i'm starting to wonder if everything just seems like everything else. its hard to really know which one to go for unless you buy one of each and pick the formula you like but so its great to get comparison posts like these. Revlon Moisture Shine is like a happy medium of the Dior and the Lancôme. I guess they are about the same as you said. After all, how different could they be? Yet, I tend to cling to the little difference in how they feel and look on lips. So many new lip glosses it's so hard to keep up! These sound quite good, Barcelona Nights is gorgeous!! They are very close if not identical. 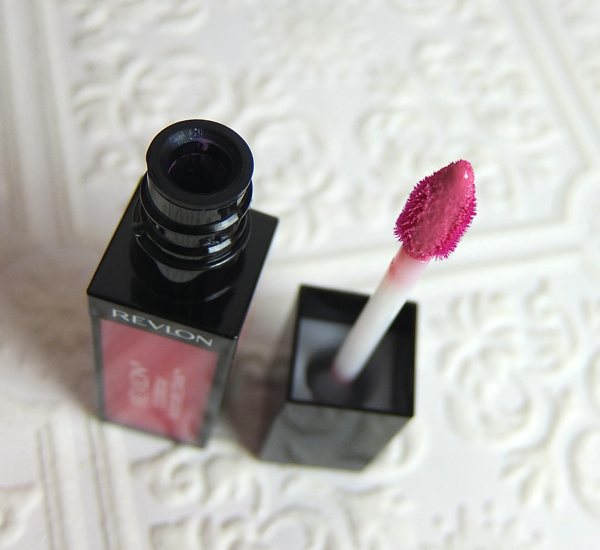 The more I wear this Revlon, the more I think it is a good alternative although it lacks the pizzaz of the Dior. It is non-sticky, which is better, though! I've seen some critical reviews on these but I think they are quite nice after all. We all are maxed out with all these nice new ones out this season..but hope you get to try these as well. I almost picked up a few more yesterday but resisted(!) thinking the same. Affordable or not, I shouldn't buy anything anymore at least for a bit. I love these colors! Barcelona nights is AMAZING. I seriously want to head to the store now and grab one! The more I wear these the more I am convinced Moisture Stain is a good alternative of the Dior Fluid Stick. The darker shade is more comparable to Dior, I think. I still prefer Dior since the colors have more vibrancy and seem to apply more evenly, but I hear that even Dior Fluid Sticks have inconsistency depending on the colors. Gorgeous pics, loving your blog! I just heard about it from Tati on youtube and thought what you think about it. I am glad you purchased it. Tati said that if you bother with you lips with this on, it kind of bunches of crumbles. Did you notice that?